This information is provided to help you to understand the characteristics, features and advantages of counterblance and countermarch looms. This information can be applied to other makes of looms, but is especially helpful for Glimakra loom weavers. This information will give you information which will make warping and weaving faster, easier and trouble free. 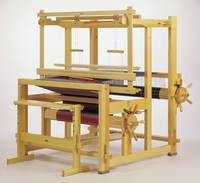 It will help you to make a decision about purchasing a new or used loom as well as help you with a loom you already have. This is also a good reference if you want to add a countermarch to your loom, add more shafts and treadles, or to add other attachments. 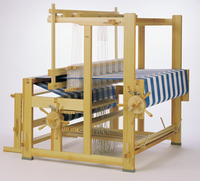 This information is not specific to any particular Glimakra loom model. It applies generally to all counterbalance and countermarch looms.